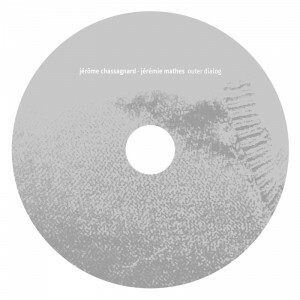 With this release french artist jérôme chassagnard continues the concept work he began on the 2014 album ‘inner dialog’, a reflection of his personal and artistic mind. 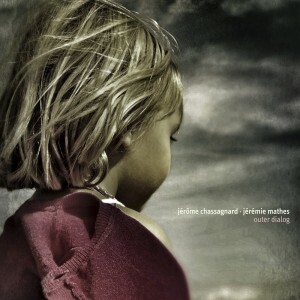 For the creation of ‘outer dialog’ jérôme decided to work with someone he musically and personally admired, a collaboration that perfectly symbolizes the change from acting as an introvert towards a more extroverted approach.For this reason he worked with musician, composer and good friend jérémie mathes. Jérémie had already participated on ‘inner dialog’ and had a breadth of experience as a solo artist himself, and he was able to add a number of different musical points of view to jérôme’s already detailed concept. The music on this album is a logical continuation of its predecessor as well as conceptually expressing the other side of the coin: ambient electronica and shoegaze spheres counteract with intense rhythm-oriented idm textures while the sound is focused on extroverted beat patterns. a fascinating interaction between soothing beauty and stirring, powerful force. ‘Outer dialog’ is intended as a partner to ‘inner dialog’, to meld both albums as one associated work, illustrated by a correspondent artwork style, typography, and an identical number of tracks. an engaging opus which captures every bit of your attention – captivating music with an edge.